Shravan month is one of the holiest months in Hindu calendar. 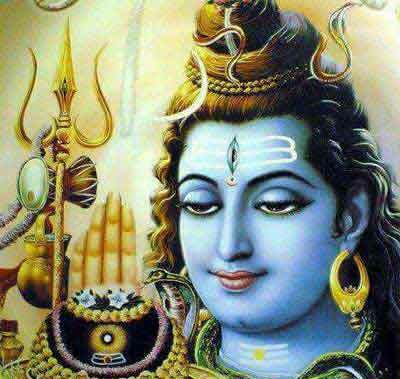 It is dedicated to Lord Shiva and is also the first month in Chaturmas – four holy months in Hindi Calendar. Equally important is Saturdays or Shanivar in the month of Shravan. Shravan Shanivar is chosen by many devout Hindus to seek the blessings of Lord Shani. When is Shravan Shaniwar Shani Puja in 2019? Shravan month in 2019 in North India is from - July 17 to August 15. In Maharashtra, Goa, Gujarat, Telangana, Andhra Pradesh and Karnataka - Shravan in 2019 is from August 1 to August 30. Special pujas and rituals dedicated to Shani Bhagavan are performed on the Saturdays of the month. The entire month is dedicated to Lord Shiva and it is believed that Shiva has the capacity to lessen the harmful effects caused by Navgraha Shani in one’s life. Shravan Shaniwar is also known as Sampat Shanivara, as it is widely believed that Lord Shani showers blessings on devotees especially that of prosperity and wealth. Saturday or Shanivar is generally dedicated to Lord Shani and people observe a fast on the day to get rid of the malefic effects that Shani Graha has on their horoscope. In Sawan month, Shanivar Vrata is observed by all people as it is Sampat Shaniwaara – ‘Sampat’ means wealth. People who undertake Shani pujas on Shanivar usually wear black clothes and offer black colored items like sesame til, black gram etc. Fasting dedicated to Shani is broken in the evening after prayers. Some people only take a single meal on the day. Some people observe a complete fast. Mondays in Shrawan month are highly auspicious and millions of Hindu devotees visit Lord Shiva shrines on the day.